At Above and Beyond Standards, we are committed to providing our puppies and dogs with a high quality food that we believe in. We feed our dogs and recommend to our customers TLC Whole Life Pet Food. TLC Whole Life Natural Puppy and Dog Food provides holistic and biologically beneficial lifelong nutrition to help your puppy thrive throughout its life. The TLC formulas deliver the ultimate balance of quality meats, animal fats, vitamins and minerals to mirror your dog's natural diet.  TLC Whole Life Pet Food! We are committed to providing our puppies and dogs with a high quality food that we believe in. We feed our dogs and recommend to our customers TLC Pet Food. At Above and Beyond Standards, we wean our puppies onto TLC Whole Life Puppy Formula. We also clicker train our puppies with TLC Whole Life Dog Biscuits using Jane Killion's Puppy Culture training methods. TLC Whole Life Natural Puppy and Dog Food provides holistic and biologically beneficial lifelong nutrition to help your puppy thrive throughout its life. The TLC formulas deliver the ultimate balance of quality meats, animal fats, vitamins and minerals to mirror your dog's natural diet.  WHY SHOULD I FEED MY PUPPY TLC? TLC Whole Life Pet Food contains no by-products, potato, corn, wheat, soy, fillers, artificial flavors or colors. Probiotics are dietary supplements containing beneficial bacteria, intended to help your puppy achieve a naturally occurring balance of bacteria, thus promoting digestive health. TLC Whole Life Food includes four varieties of probiotics. Prebiotics are dietary supplements that provide nutrients for the Probiotic beneficial bacteria. TLC contains Chicory Root Extract to provide ideal nutrition for the beneficial bacteria found in TLC. TLC Whole Life Puppy is formulated to give your puppy an easy transition to TLC Whole Life Dog Food. TLC Puppy is the beginning of your puppy's life long nutrition. TLC Whole Life Puppy is formulated with ingredients, including a balanced ratio of protein and fats and bio-appropriate (balanced) calcium & phosphorous levels to support your puppy's specific needs. This includes DHA from Salmon Oil for cognitive development and high quality protein for muscle growth while ensuring correct weight gain as your dog grows to adulthood. TLC developed our Puppy formula for those dogs that require a little more protein and fat for additional weight gain compared to our All Life Stages Dog Food, and a more limited ingredient introductory diet to encourage easy digestion and stool firmness. TLC Whole Life Dog food contains all the same beneficial ingredients as the Whole Life Puppy Formula and is ideal for Large Breed Puppies as it is approved as an All Life Stages Dog Food and has the same ratio of proteins and fats, as well as calcium & phosphorous as other Large Breed Puppy formulations. TLC Whole Life Dog food is the formulation we recommend for our Large Breed puppies. TLC Whole Life has the top ingredients for skin and coat health, including the best animal fats, omega-3 rich salmon oil and the Herbal pack of essential natural nutrients. TLC Whole Life does not contain any of the more common allergens such as corn, soy beans, wheat or beef. TLC is specially formulated to provide an allergy-free diet for your puppy. Apple is high in fiber, which aids in keeping the digestive track clear. It is also a natural source of calcium, iron and Vitamins A, C, and K.
Blueberries are one of the top sources of antioxidants, ideal for cardiovascular health, immune system health and control of inflammation. Carrots provide a high source of beta-carotene for vision health, and offer cardiovascular and antioxidant health benefits. Cranberries for urinary tract health and added antioxidants. Chicory Root Extract provides natural fiber and food for the beneficial bacteria required for a healthy intestinal tract. Benefits may include increased nutrient absorption, digestive aid, and immune system support. Flaxseed is an excellent source of Omega-3 essential fatty acids, which help to keep the skin and coat healthy, and maintain lower cholesterol levels. Quinoa a relative of leafy green vegetables like spinach, contains a perfect balance of eight essential amino acids and anti-inflammatory nutrients. Rosemary Extract is a natural antioxidant, supporting the immune system and heart health. Sweet Potato supports a low glycemic index to help prevent obesity. Also an excellent source of vitamin A.
Yucca Schidigera Extract is an anti-inflammatory that reduces joint pain and inflammation. It also reduces urine and stool odor. FREE DELIVERY! You cannot purchase TLC Whole Life Pet Food in a store. It must be ordered online or by calling. 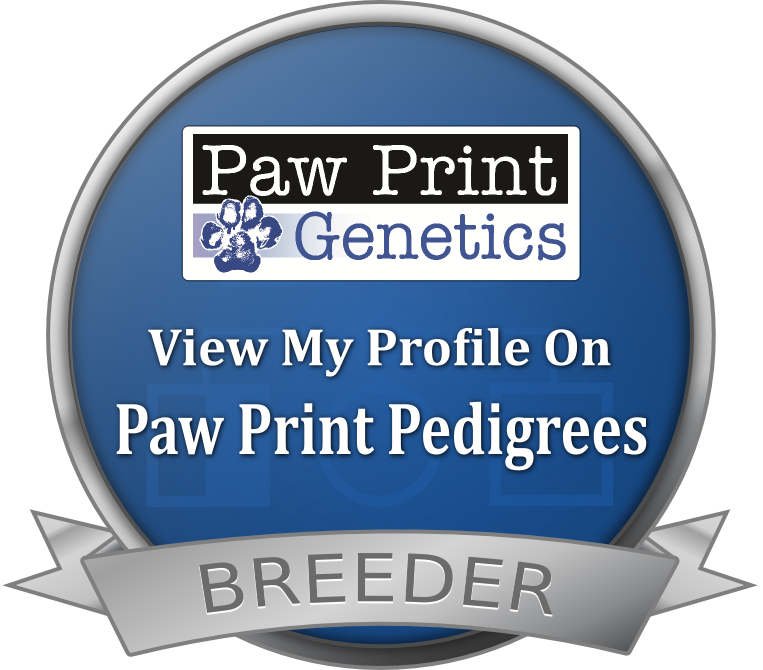 You will need to order this before your puppy comes home. It usually takes two to three days to receive your order. Order your TLC by Phone: Call 1-877-328-8400. Please use order code 77825 with promo code 1025 when ordering by phone. 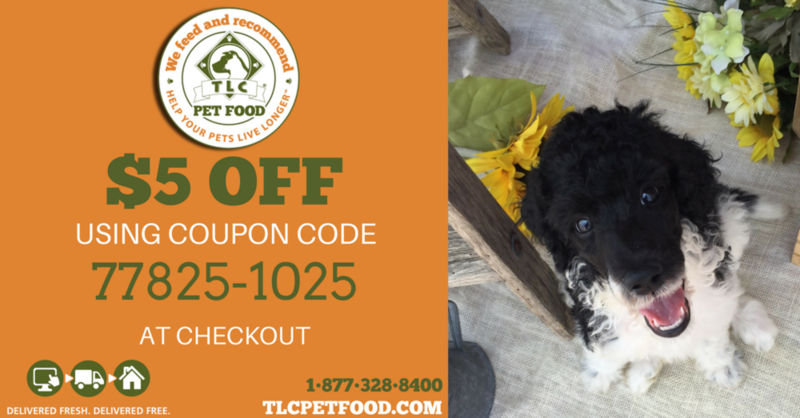 Order TLC Whole Life Pet Food Here!